Product prices and availability are accurate as of 2019-04-14 03:51:12 BST and are subject to change. Any price and availability information displayed on http://www.amazon.co.uk/ at the time of purchase will apply to the purchase of this product. Nose - Lemon citrus, then orange peel and an interlacing sweetness that softens but doesn't eliminate the zest. A quiet note of vanilla is followed by dark chocolate with lingering floral and light oak notes. 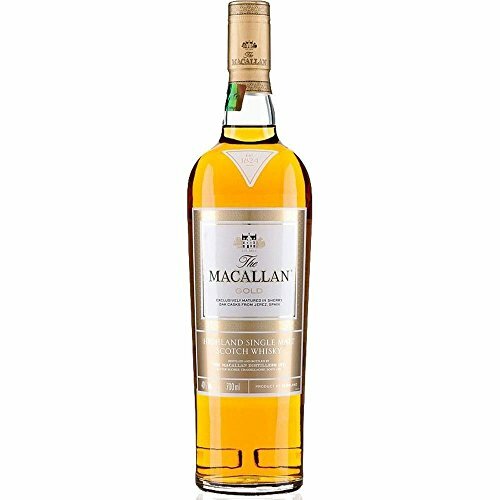 Palate -Citrus and boiled sweets rule the palate, along with hints of ginger and cinnamon, while soft oak tones reveal toasted apples. Finish - Medium sweet, malty and slightly dry. 70cl Glass Bottle ABV: 46% Scotch Malt Whisky from the Speyside Region of Scotland Savour it neat, on ice, with a mixer or in a cocktail. It is an offence for any person under 18 years to buy or attempt to buy alcohol. Please drink responsibly.